Why Kendall Jenner didn't want dad Caitlyn at the Victoria's Secret show | HELLO! 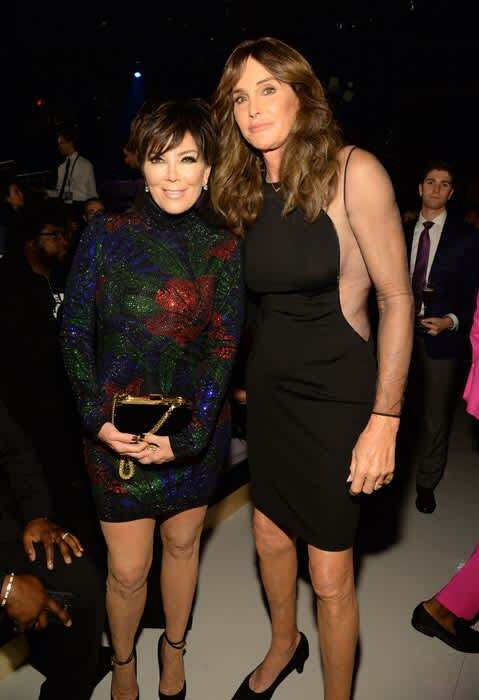 Caitlyn and Kris Jenner were front row to watch their daughter Kendall make her hotly anticipated debut at the Victoria's Secret fashion show last November. But it turns out Kendall really wasn't keen on her parents attending the show. In the latest episode of Keeping Up With the Kardashians, Kendall is seen confronting her dad Caitlyn after hearing she was planning to watch the show. "Hi dad, I'm very mad at you about something," she says on the phone to Caitlyn. "Did you publicly... Did you have your publicist announce that you were going? Because I don't know how everyone knows and now it's a huge story." Clearly annoyed, Kendall continues: "You're going to take the biggest night of my life and take it away from me? Thank you! No you can't! You can't come." Kendall then says that Caitlyn is welcome to come, but only if "you don't say anything and you walk in the back door." The model continues, explaining that she was annoyed because she asked her other family members not to come and only allowed Caitlyn to go because "you know I'm a pushover". Meanwhile, in a confessional to the camera, Kendall explains her reaction to the news. "A lot of people assume that I get jobs from my family but actually it's kind of opposite and it made me work even harder to get what I wanted," she says. "So I get scared that if my dad goes it will be a media frenzy and now it's all kind of blowing up."